It is that time of year when everyone tunes in to all of the football. Yes, I've been psycho about football since August, but if you are just joining us, you've picked a great time to get in the game. Hah, puns. This past Sunday, we all piled into CB's house, just like we have every Sunday for the past 4 months, to watch the PLAYOFFS BAEEEEBAAAYYY! He has a pretty sweet setup for football. I remember when I first walked into his house, I was perplexed by the need for multiple TVs in the living room, but now I get it. All of the football, all at the same time. I'm not opposed to multiple TVs in my own living room, for the record. Contrary to popular belief, I utilize more channels than just ESPN. I'm thinking football on the big screen, Real Housewives on the little screen. Hmmmm now we're talking. Better write that idea down. 3. The defender simply plays good defense and there are no fouls on the play. 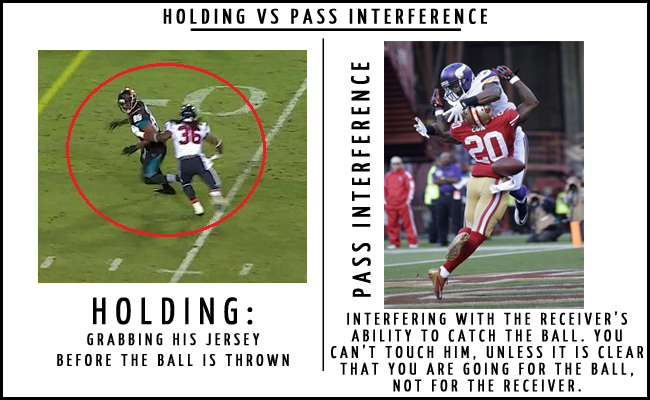 Holding is when you hold on to the guy's jersey before the ball is thrown. Pass interference is when you clearly are inhibiting the receivers opportunity to catch the ball. You gotta give the guy a chance. If there is contact, and the defender's back is to the ball, it is pass interference. But if there is contact and the defender is facing the ball, trying to catch it, that is just good defense! Ok, I'll let you go ahead and decipher and form opinions about any recent controversial calls you may have heard. Now on to the good stuff, game time grub! 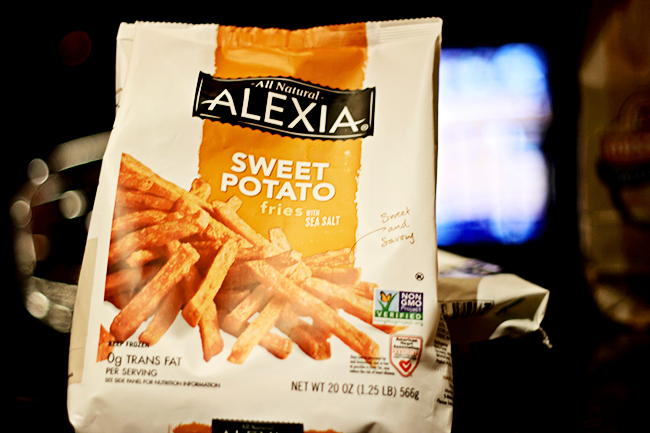 I've got two recipes for you today featuring the deliciousness that is Alexia Sweet Potato Fries and Smart Classic Crinkle Cut fries, which are both perfect for #GameTimeGrub! 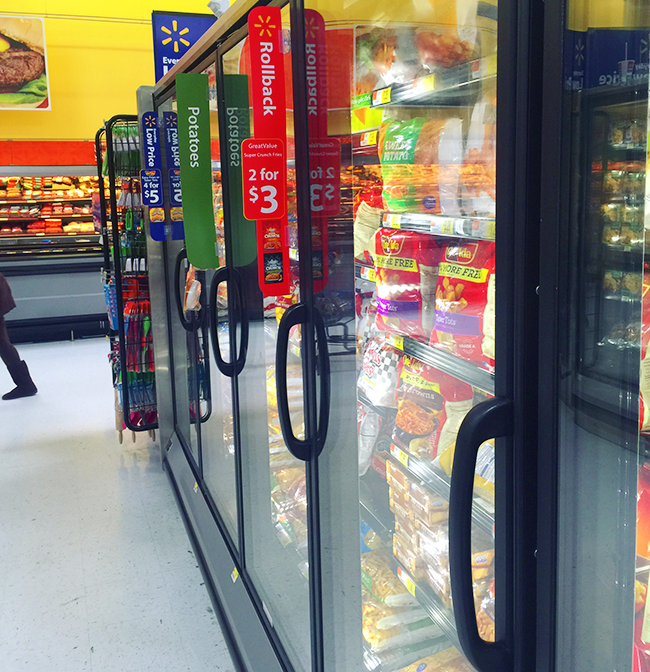 I was able to shop at Walmart for both the crinkle cut and sweet potato fries. 1. 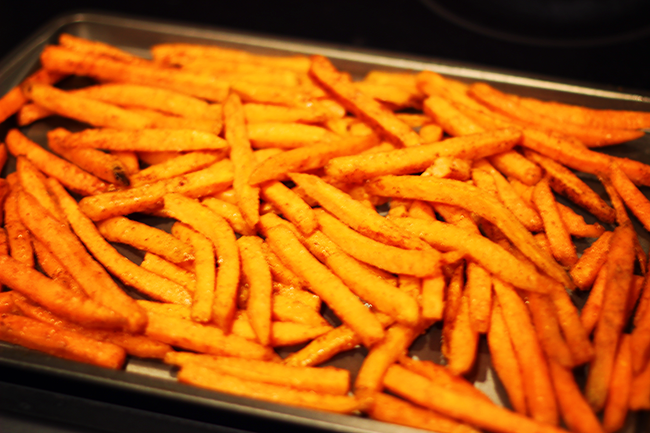 Preheat oven to 425 degrees as directed on the Sweet Potato frozen fries instructions. 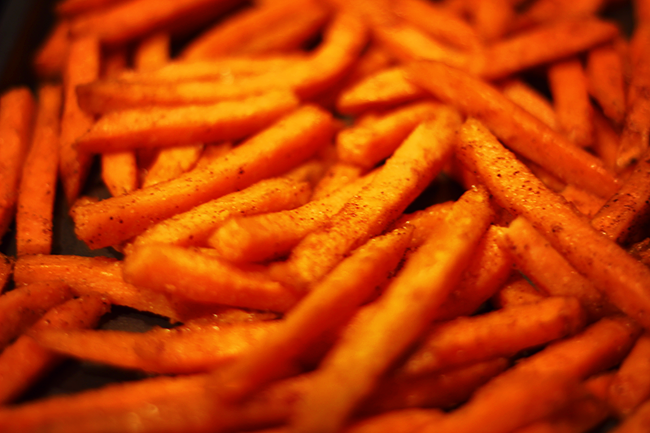 In a medium bowl, toss the frozen fries with the olive oil, chili powder, and cumin. 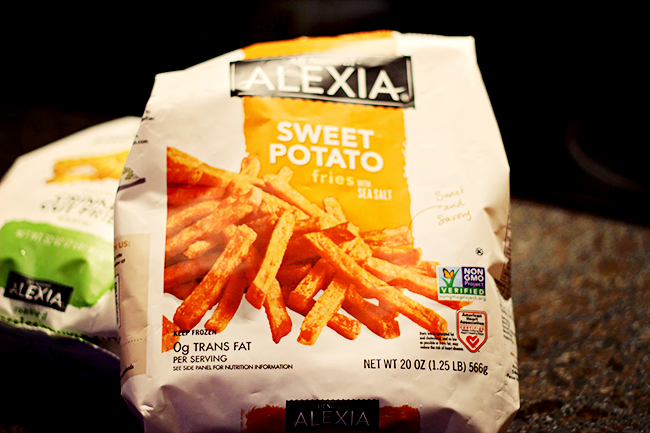 Bake sweet potato fries for time recommended on bag. 2. 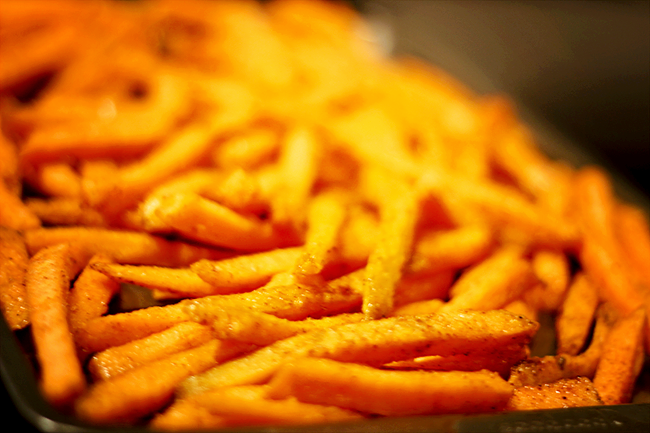 On a large plate, arrange your chips in a single layer. Microwave your beans and corn and scatter on top of your chips. 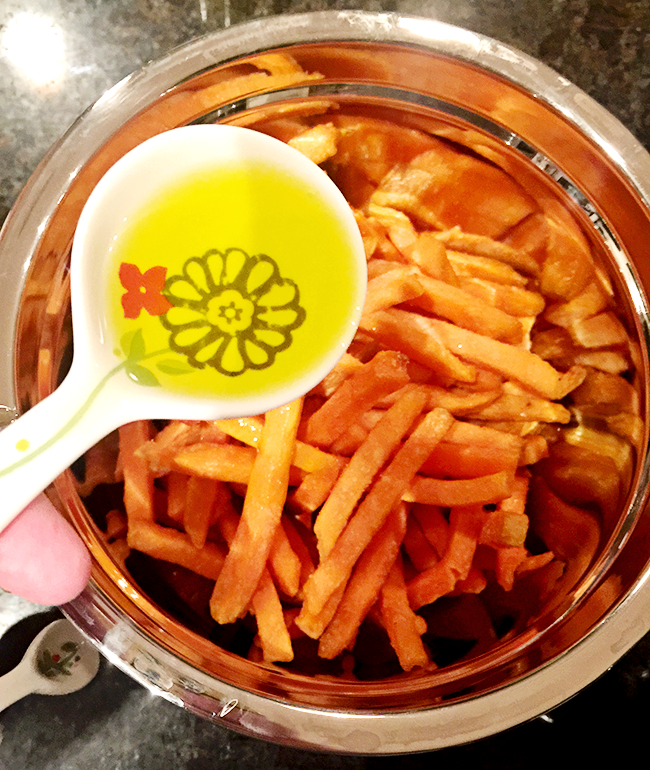 When your sweet potato fries are finished baking, scatter those on top as well. 3. In a small saucepan, melt your butter. Add your garlic and saute for a couple of minutes. Add ¾ cup milk and heat until simmering. Whisk the remaining ¾ cup milk with the flour, then add to your saucepan and stir until smooth. Your mixture will be very thick, but I ended up adding some extra milk to make it a little less thick. 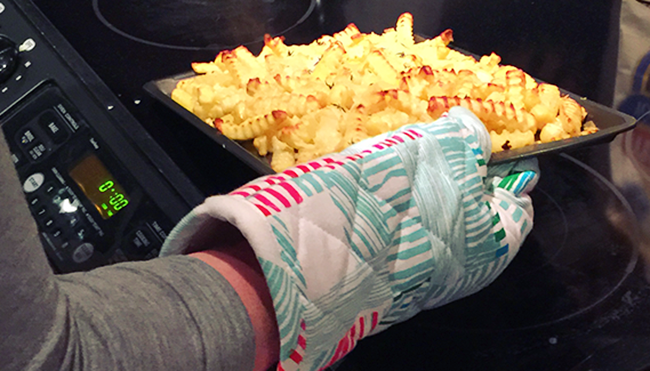 Lower your heat and stir in the salt and the cheese until melted. 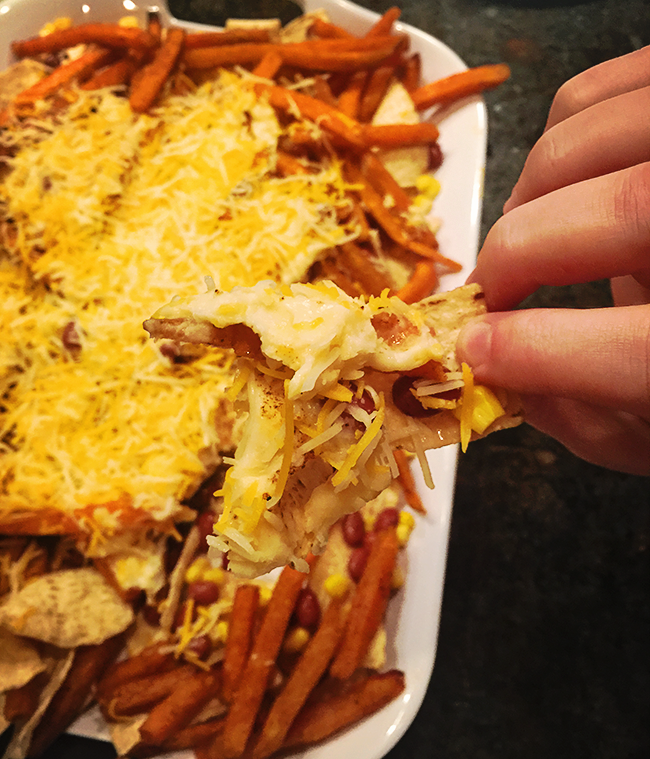 Drizzle the cheese sauce over the nachos and top with cilantro (and if your name is Sarah Webb, more cheese). 1. 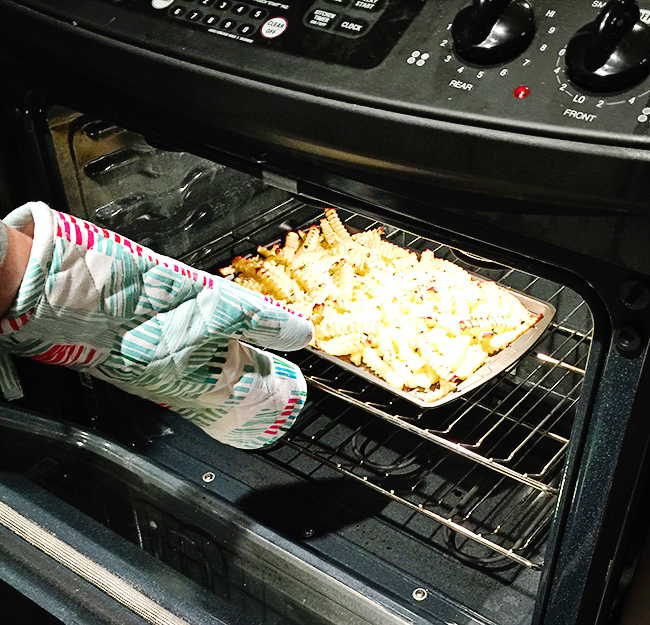 Preheat oven to 425 degrees as directed on the instructions for the crinkle cut fries. 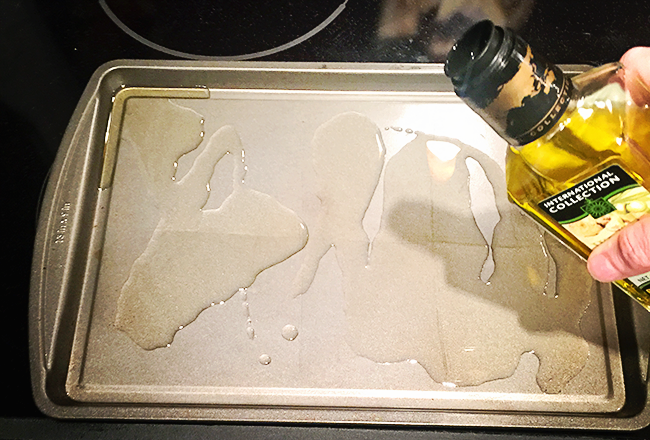 Drizzle your truffle oil on a baking sheet, scatter fries across baking sheet, then top with another drizzle of truffle oil. 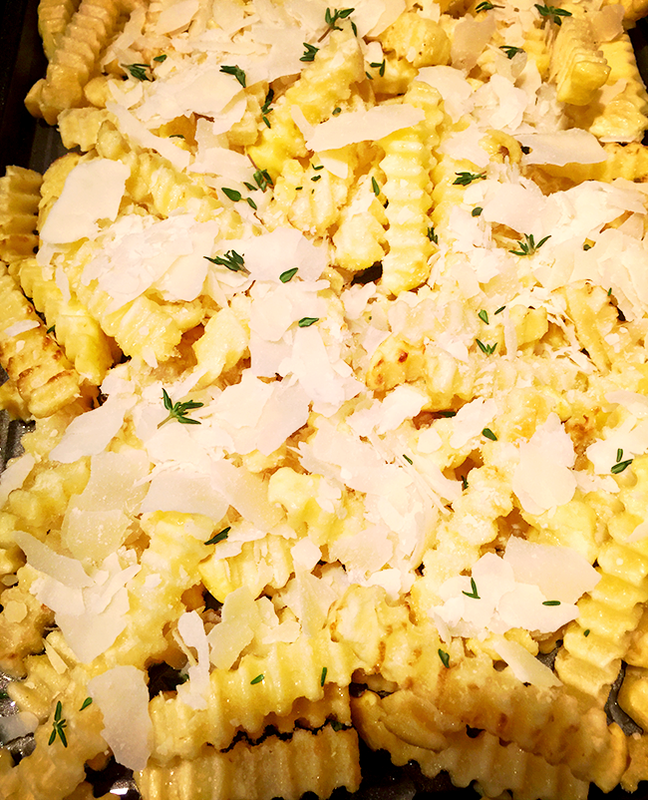 Add a generous sprinkle of your grated parmesan cheese, as well as your thyme. Add sea salt and pepper to taste. 2. Bake as directed, around 20-22 minutes. 3. 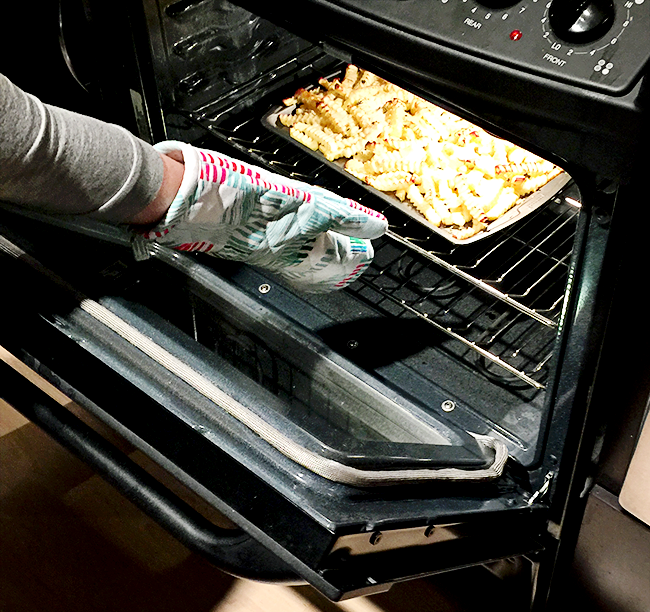 After you pull from oven, top with a little more parmesan cheese (football...remember?) and serve! o goodness those both look absolutely delicious and now my stomach is growling. So delicious. Which one did you like better? 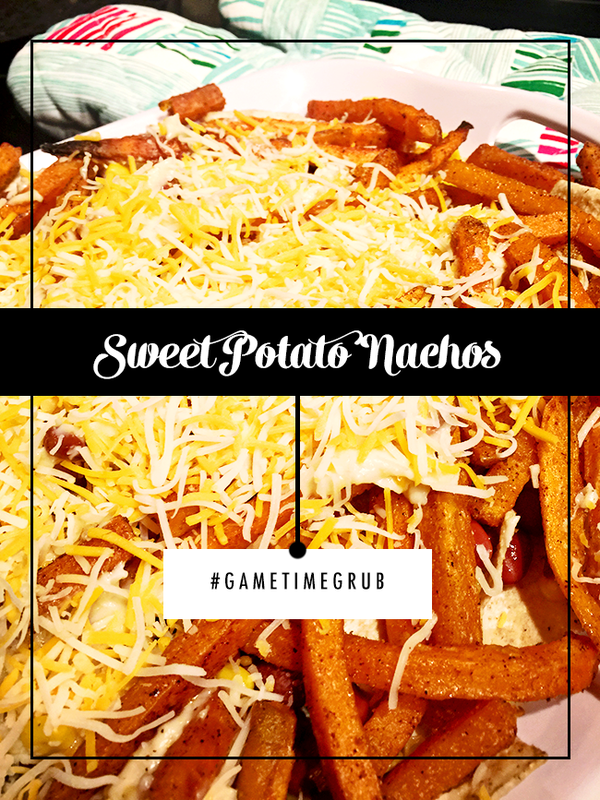 ...because I'm kind of dying over the sweet potato nachos. I laughed at "just add more cheese...because football" because I was thinking the same thing! 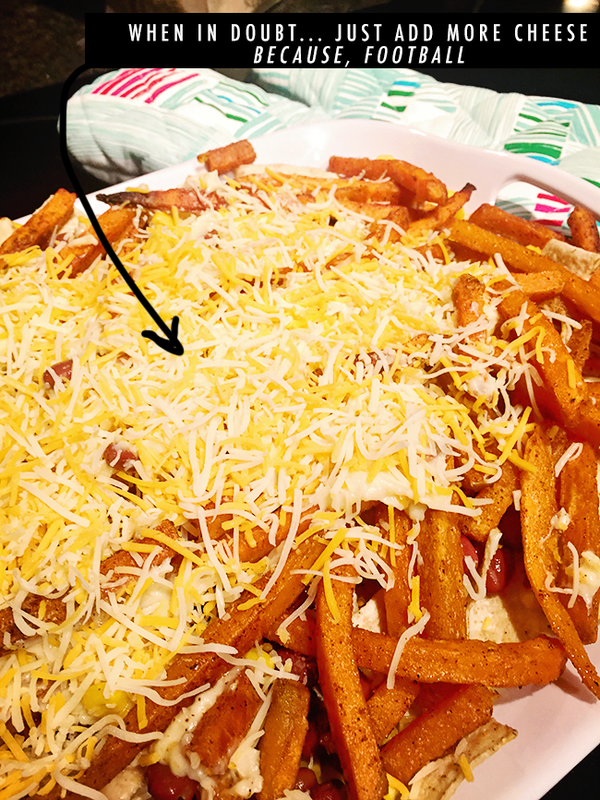 Really, fries + cheese = can't go wrong. 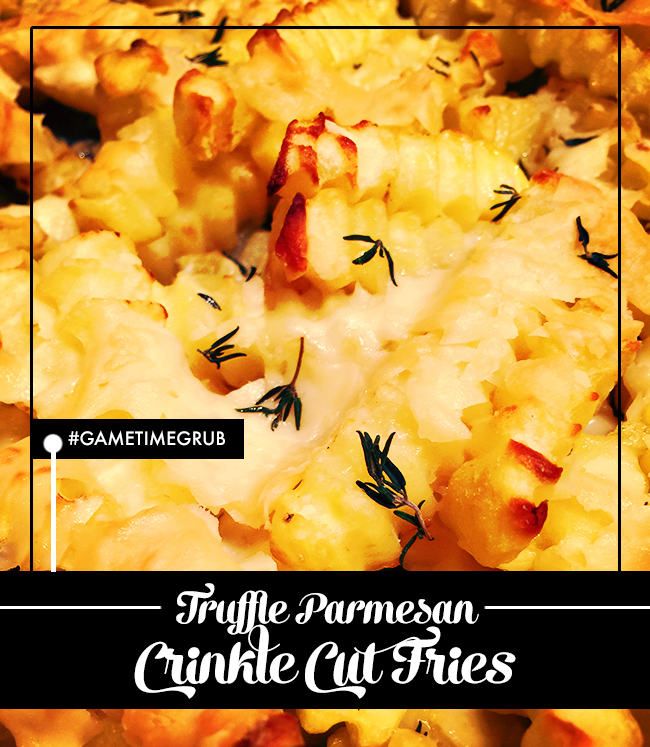 I will definitely try the truffle parmesan! So going to have to try these. Congrats to you team winning on Sunday. I'll take one of each please :) YUM! Okay just gonna say it Sunday's Cowboys game was awesome!! We haven't cheered that loud in a long time! This weekend we might not have as good of luck against the Packers but one can hope! Go Cowboys! Oh boy.. 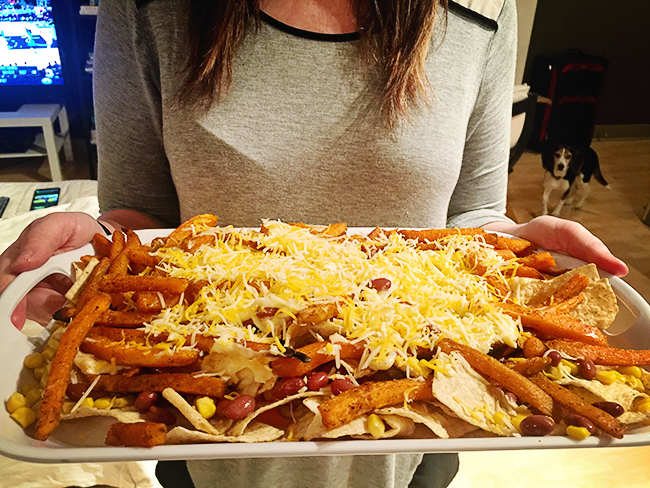 These seem delish & may be a necessary addition to our Super Bowl party menu this year!! Both of these sound crazy delicious!! 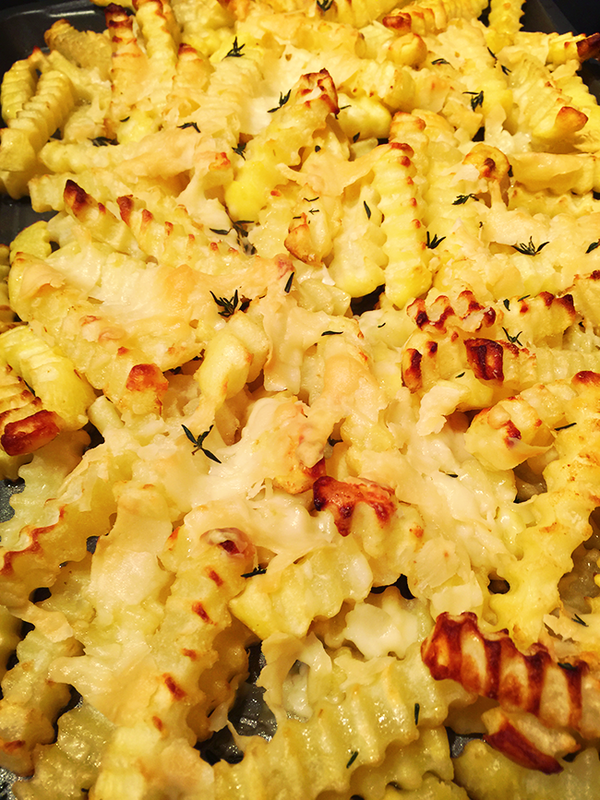 Truffle oil is something that people either love or hate, and I love it! You'll just come live with me and make these, right? 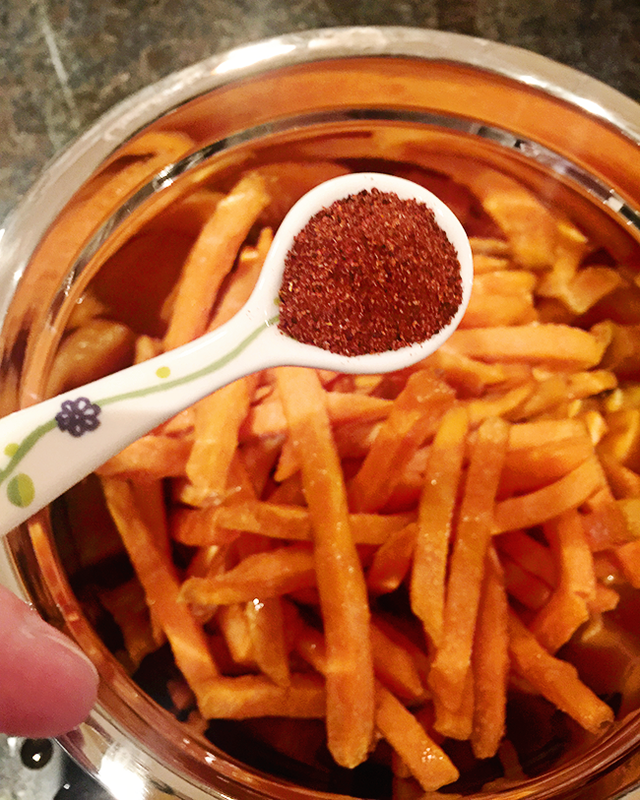 Can't really say that I'm a huge sweet potato fan but the Truffle Parmesan look delicious. So delicious actually that I had to grab my box of cheez its... I'm sitting at my desk and it's the only food option in my vicinity. Also... I'm swearing off the NFL since Peyton's out :( I was so sad yesterday! Bannerizer made it easy for you to promote ClickBank products by banners, simply visit Bannerizer, and get the banner codes for your chosen ClickBank products or use the Universal ClickBank Banner Rotator to promote all of the available ClickBank products. Reasons to Love Iowa. Reasons to Love Detroit.